A former President, a Secretary of State, and two leading ladies all in one place? Only Barbra Streisand could bring Bill, Hillary and Chelsea Clinton, Sarah Jessica Parker and Nicole Kidman together. The acclaimed artist put on a free and private concert in front of these notables and 100 lucky fans at the legendary Village Vanguard in New York City on Saturday, September 26, 2009. 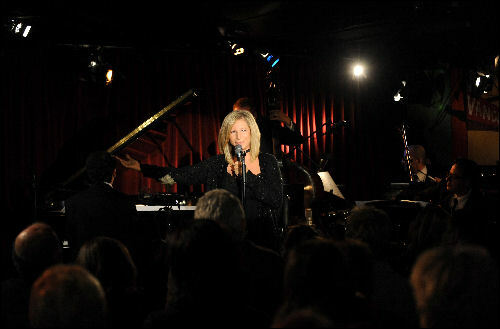 The last time Streisand performed at the famed club was in 1961, when she opened for Miles Davis. Footage from Saturday’s show can be viewed on AOL.com beginning Sunday, September 27 and on BarbraStreisand.com starting Tuesday, September 29, the same day Love is the Answer will be released.